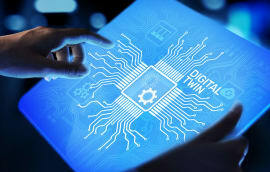 Tony Palmer, digital asset creation lead at Anglian Water’s @one Alliance, describes how @one Alliance is incorporating VR in its workflows, how it’s helping them design smarter, and why it’s become a vital tool in collaborating within their team. 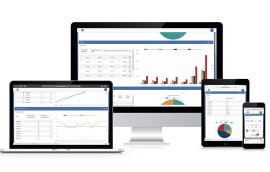 Anglian Water’s @One Alliance is a collaborative organisation of consultants and contractors working together to deliver more than half of Anglian Water’s capital investment programme. Together they design and construct water and water recycling (waste water) treatment centres that serve more than six million people in the East of England (and Hartlepool Water) and maintain and improve the water mains and the sewerage network in the region. In a heavily regulated industry to ensure the best value, the Anglian Water @One Alliance is always looking to outperform against commercial targets. Often this means searching for the latest development in technology to deliver more efficient and cost-effective workflows. We were looking for a solution to improve their early stages of visualisation to reduce the likelihood of changes while on site. Previously, models were sent to programmers to create VR experiences using Unity or Unreal gaming engines. This would take two to three weeks and could cost up to £5,000. We switched to using Prospect, a desktop-based VR platform built for architects, engineers, and construction companies. This software quickly and automatically converts Revit, Sketchup, Rhino and OBJ files into navigable virtual reality experiences for the HTC Vive and Oculus Rift with one click. 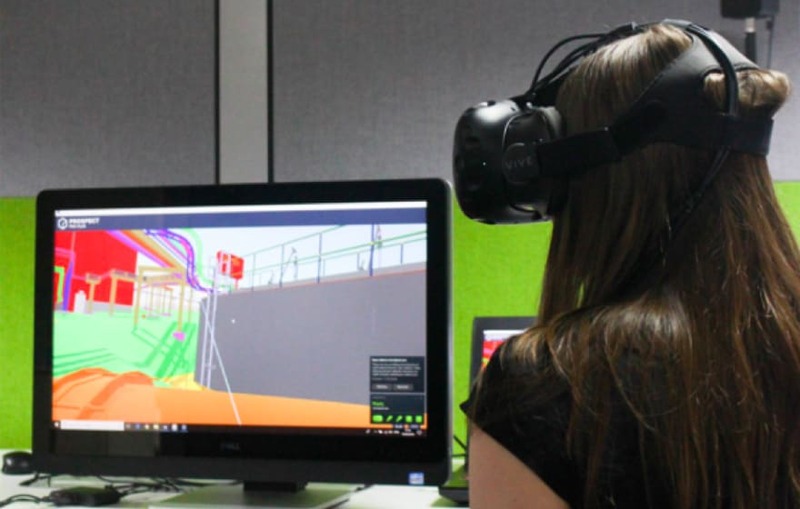 The primary concern for us was ease of use and quick conversion of our existing 3D CAD models to a VR format, to allow us to bring VR to as many projects and users as possible, maximising the return on our investment in equipment and software. We were already using Navisworks to review models, so the ability to take files from there and quickly view in VR created a natural extension to our existing workflows. The possibilities created by multi-user sessions to reduce the need for travel (our sites can be up to a three-hour drive from the office) and provide instant feedback on issues seemed like a real bonus. The ease of importing 3D CAD models into Prospect for viewing in VR has made a massive difference to our use of the technology. Being able to create a VR experience in-house, often in less than 10-15 minutes, has removed the obstacles that we were facing and allows us to make VR available to all projects where we have a 3D model. VR is primarily a design review tool for us although we are beginning to look at ways to use it for planning and to simulate construction. Having access to models in VR at an early stage and being able to update them as the design progresses has allowed us to get a better understanding of how everything fits together and the effects of changes. Taking the model to our construction and operations staff, who are in effect our customers, provides further feedback on the design at a stage where it’s early enough to implement changes in the most cost effective manner. 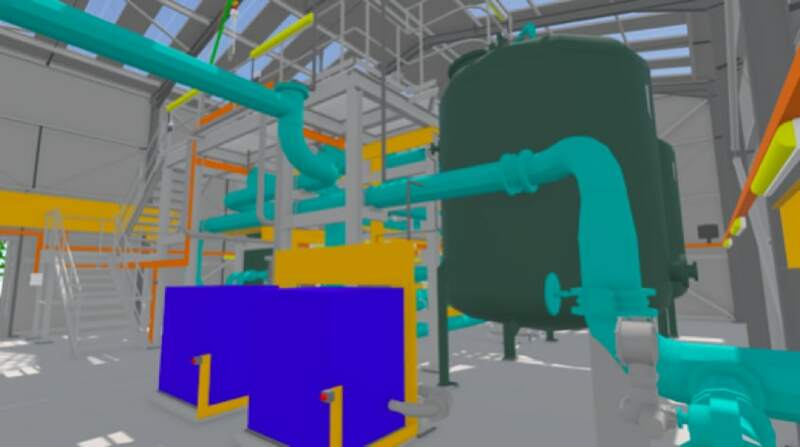 Using VR has enabled us to undertake key procedures such as Safe to Operate reviews much earlier in the project lifecycle, reducing waste and rework as a result. We are trialling using VR to conduct site safety training, in particular improving awareness around plant and equipment like excavators for staff who only visit site occasionally and are not fully aware of the restricted view that machine operators often have of their surroundings. 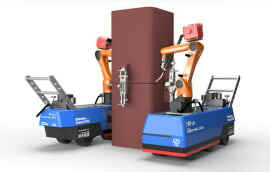 Most of our 3D content is created using AutoCAD with Plant3D, Civil3D and Revit. Some of our content is provided by vendors or subcontractors using a variety of other software. We use Navisworks to pull everything together and view the overall model. An FBX export from Navisworks is then taken to Prospect for import. The direct link from Navisworks to Prospect in the latest update should simplify the process even further. We currently have two VR kits. The first is based in our design office situated in the middle of one of our main design hubs. The equipment often travels around the building or to other offices as required. 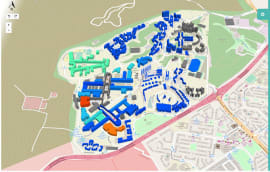 The second is based on a project site and is used by the site team on one of our more complex projects to understand the model during construction. Both consist of HTC Vive headsets linked to a dedicated MSI GT62VR laptop. The biggest difference that Prospect has made for us is the ability to get models into VR quickly using in-house resources. Not having to rely on external resources to create VR experiences means we can now use the technology on many more projects. Instead of seeking project approval to implement VR on a case-by-case basis we can now just get on with using it. The sense of size and scale when reviewing models in VR has allowed both designers and construction staff to understand what we are planning to build and how we can build it. During a pre-construction review it was noticed that an area along the edge of a concrete slab about 1m wide wasn’t doing anything and that a footpath was running parallel to the slab. It was suggested that either the slab area was used as an access way and the footpath removed or that the slab area was reduced. The latter option was chosen as it resulted in the greater reduction in concrete saving around £2,000 of materials and embedded carbon. During a review with a plant operator, they asked to see a chemical dosing arrangement. As they approached the chemical injection cabinet and looked inside, they instinctively ducked as if to avoid hitting their head and commented that the cabinet needed to be taller. If we had installed this it would have been a constant risk to operators when accessing the kiosk or would have needed to be replaced at a cost of around £15,000. We modified the design to increase the height of the cabinet. While reviewing another chemical dosing point with the design team, one of them pretended to withdraw the dosing lance from the pipe, as they did so they stepped back and found they were no longer on the access paving. We modified the design to increase the paved area removing the trip hazard. Had this been spotted after construction, we would have needed to recall the civil contractor to cast extra paving costing around £5,000. 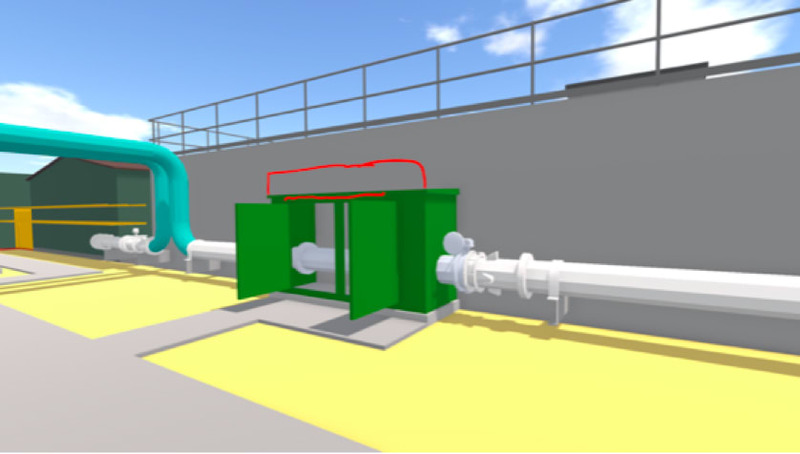 During detailed design of a plant building the design team were challenged with optimising the building size to reduce cost and installation time, whilst not compromising access for the operations. After a period of optioneering the width of the building was reduced from 36m to 30.5m. 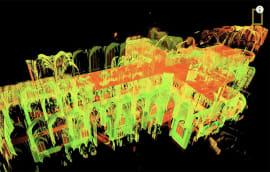 Although the 3D model gave the operations team a great platform for reviewing the smaller building it didn’t give them confidence that there was enough space. Within moments of entering the model in VR, they commented that “there is plenty of room in here” and after a detailed VR review there have been no further challenges. The reduction in building size saved around £25,000 and reduced the construction time by four weeks. Meanwhile, highly detailed 3D models, derived from the latest aerial photography, are helping Anglian Water design, build and communicate major infrastructure and non-infrastructure asset projects across the east of England. ( put in link to Blue sky story published Monday).